Do you come home from work everyday to an apartment that’s dull? We’re not talking about white walls, we’re talking about personal touches. It’s easy to lose yourself during the winter, darker days mean hibernation and rest. However, as the season turns and the days are longer, it’s time to update your apartment to reflect the season. A space with personal touches, indoor plants, and ample seating is an unbeatable way to cultivate good vibes. These do it yourself (DIY) decor ideas are a surefire guarantee to spruce up your apartment for summer! Don’t keep coming home to a stale space, create something beautiful for your home. We’re sure you’ve seen what some Instagram influencers lovingly call an “urban jungle.” A hip, downtown apartment with stark white walls lined from floor to ceiling with beautiful trees, succulents, palms, and other plants; aka, an urban jungle. Though we think this is a bit overboard, there are scientifically proven benefits introducing living plants into your home decor. First, plants improve your air quality! When the AC is up—we all know how brutal Sacramento area summers can be—living plants help purify the air of any bacteria that may be circulating. Plants also help you breathe easier. During photosynthesis, plants release healthy oxygen. Last, but far from least, tending to plants shows an increase in overall mental health! An easy way to start incorporating botany into your home is with air plants. These low-maintenance plants are perfect for novice, and expert, greenery enthusiasts. They don’t require any food, the only watering they need is a 5-10 minute soak every other week. Want an amazing way to put a personal touch on your air plants? 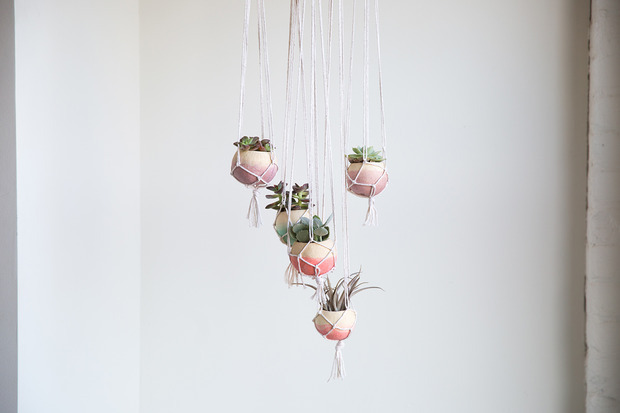 Make a hanging planter! This tutorial from For the Makers shows how easy it is to make a hand-dipped, bohemian style, hanging planter! All you need is a bell cup, cotton twine, kool-aid, and less than an hour. Looking for air plants in Elk Grove? Check out The Secret Garden! In addition to air plants and succulents, they carry a wide array of pottery, flowers, trees, herbs, and anything you would need to put together an amazing garden. For art supplies, hit the Michael’s or Joann’s in Elk Grove. A home should be welcoming, a warm, comfortable place for friends and family to gather. Want to invite some friends over for a fun night of games and gossip but don’t have enough seating options? 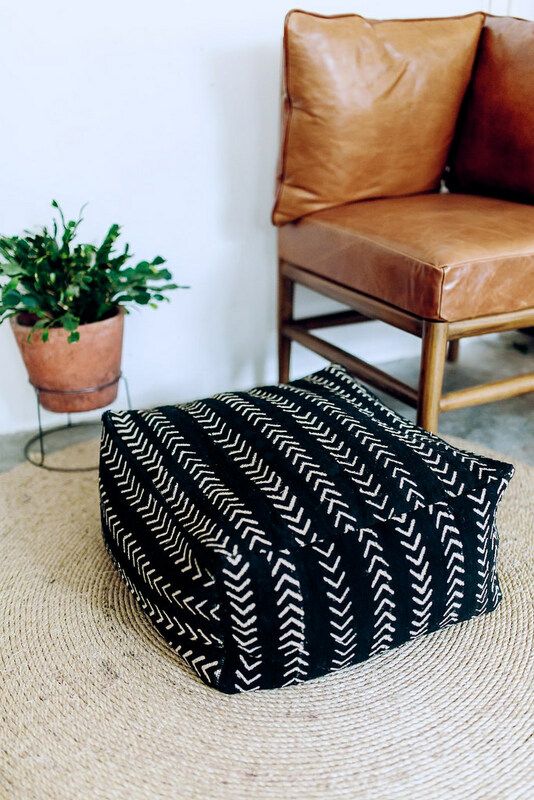 A floor cushion is your best bet! They’re easy to make, customizable, and serve multiple functions. Floor cushions can be used as a footrest, a book rest, a throne for your best little buddy, or anything else you can think of. And, they’re relatively cheap and easy to make. All you need is a sewing machine—or the time to hand sew—sturdy fabric, thread, scissors, and bean bag filling. Lifestyle blog, A Pair & A Spare, shows how easy it is to make this aesthetically pleasing seating option. Looking for a place to get your supplies? Stop by Old Town Fabric, here in Elk Grove. This independent fabric store offers competitive prices and an amazing selection. If you don’t have a sewing machine and want to invest, go to Country Sewing! They are here for all your sewing machine needs and even offer classes. Get your home ready for spring and summer while making it as unique as you are with these DIY decor ideas. Are there any projects you’re working on? Let us know in the comments!